People with vitamin D deficiency may be more likely to develop certain autoimmune lung diseases, a new study suggests. Researchers at the University of Cincinnati (UC) evaluated 118 patients for serum 25-hydroxyvitamin D levels, which indicate levels of vitamin D in the body. Then, they evaluated associations between these serum levels and the patients’ conditions. Of the patients, 67 had connective tissue disease-related interstitial lung disease (ILD) and 51 suffered from other causes of lung fibrosis. Overall, those with connective tissue disease-related ILD were more likely to have vitamin D deficiency — 52 percent versus 20 percent — and insufficiency — 79 percent versus 31 percent — than other forms of ILD. Among this same group of patients, reduced serum 25- hydroxyvitamin D levels were strongly associated with reduced lung function. "These findings suggest that there is a high prevalence of vitamin D deficiency in patients with ILD, particularly those with connective tissue disease," said lead researcher Brent Kinder, MD, UC Health pulmonologist and director of the Interstitial Lung Disease Center. "Therefore, vitamin D may have a role in the development of connective tissue disease-related ILD and patients’ worsening lung function." These findings were appearing online on Tuesday at EurekAlert. com, a website of the American Association for the Advancement of Science (AAAS). "ILD is a group of diseases that mainly affect the tissues of the lungs instead of the airways, like asthma and emphysema do," said Kinder. "It causes scarring of the lungs, is more difficult to diagnose and treat than other kinds of lung diseases and is often fatal." "Since vitamin D deficiency has implications for other manifestations of autoimmune illnesses, we wanted to see it had an effect on the lungs of this patient population," Kinder added. Further research is needed to see if supplementation will improve lung function for these patients, Kinder said. 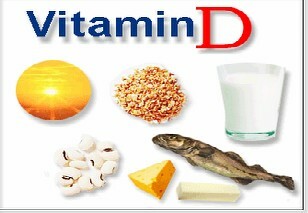 If these findings are confirmed and vitamin D supplementation is shown to be effective in clinical trials, this may also provide a more natural, inexpensive treatment for the illness, Kinder noted.